Summer is home selling season! Many families choose to buy and sell in the summer months so they don’t have to uproot their kids from their schools mid-year. With all of the homes coming on the real estate market in the summer, yours may be one of them. In a typical real estate transaction, a homeowner would put their home on the market, get an offer, and then go through all of the necessary inspections—a termite inspection being one of them. Termite inspections are required by almost any lending institution. So if your buyer is getting a loan to purchase your house, a termite inspection will be necessary to complete the sale. And don’t think you can get away with saying the house is being sold “as is.” Those words mean nothing to the bank lending your buyer the money. Even if your buyer is purchasing your house for cash, most savvy buyers will require a termite inspection as a condition of the sale. Just because the typical scenario involves conducting a termite inspection after an offer is made on a home, that doesn’t mean it’s the smartest way to go for a seller. Here are three reasons why home sellers should consider having a termite inspection done on their Temecula home before it goes on the market. Many home sellers do a little bit of “sprucing up” to the exterior of their home before listing it. They may do things like paint the exterior trim or a patio cover, or replace their roof. This will improve the curb appeal of their home, and may seem like money well spent, but if, after you’ve accepted an offer on your home and have your termite inspection done, it’s discovered that the trim or patio cover you just painted is infested with termites, or the roof was installed over rotted or infested wood, that will be money down the drain. If you had done the inspection earlier, you would have discovered the termites before hiring a painter or roofer and could have made the necessary repairs. Instead, you are now faced with making repairs and having to pay the professional to come out a second time! Wood patio covers and decks are prime spots for termites to invade. If you have a termite inspection before putting your home on the market, and it’s discovered that your patio cover or deck has termites, you have the option of just tearing it down, patching your exterior wall, and pretending it was never there. If you wait until after you have an offer, and it is revealed that the patio cover or deck has termites, the seller will most like require repairs, which will be much more costly. A seller may also take advantage of the fact that you are now deep into the process of the sale and won’t want to risk the loss of that buyer, and they may ask for something like the complete replacement of a patio cover. Had you known beforehand that your patio cover had termites, you could have just replaced the affected boards. It’s always good to have the upper hand in a negotiation. When you know the exact condition of your home, you can prepare yourself for any repair requests your buyer might make. Or, you can choose to take care of any needed repairs before putting your home on the market, and be more confident in the condition of your home. If you have plans to put you home on the market in the near future, contact us at Knockout Pest Control & Termite to schedule an appointment for a termite inspection. At the end of the inspection, we will provide you with a Wood Destroying Organism report (WDO report) for your Temecula home and make recommendations for any needed termite treatment or structural repairs. 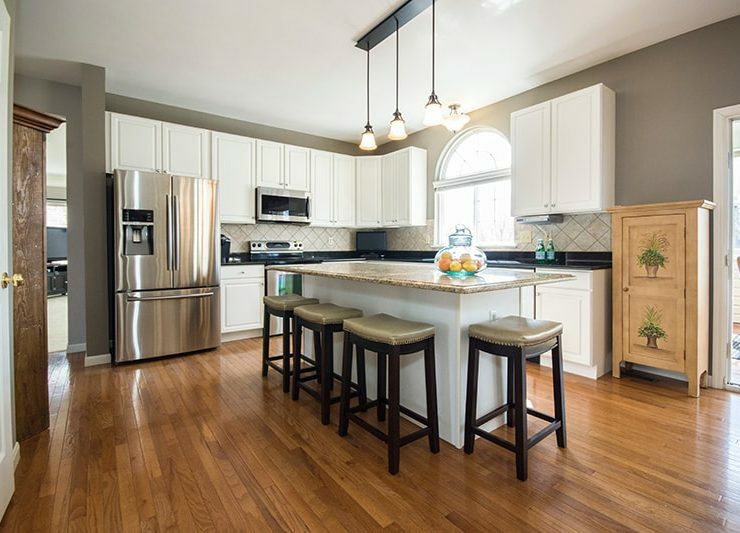 Our own in-house general contractor can even complete any of the needed repairs in a timely manner so they are done before you put your home on the market.